After all the punk rock and rock records reviewed by me over the past weeks, it was a pleasure to hear the Americana fuelled rock played by Ted Russell Kamp. Guitars rock, drums pound and the bass lays a strong foundation, yet something tells me to relax and lay back. Just listen and things will be fine and I do just that. 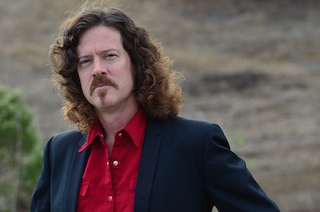 Ted Russell Kamp is a bass player from Los angeles who has toured with a host of bands and artists through the past decade and a half, but also has his own career. And rightly so as several songs on Walkin' Shoes have that quality I like in Americana songs. Walkin' Shoes is his 11th album. Superficially Kamp is one of those artist who come out of that opened can where dozens of U.S. artist crawl out of once opened. There is a whole host of Americana and roots singer-songwriters and there simply is not a lot setting them apart for insufficiently trained ears like mine are. So where to start? 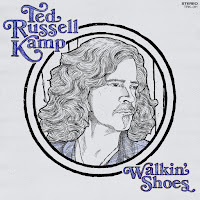 The first thing I noticed when starting to listen to Walkin' Shoes is the nice level of roots rock that Kamp presents. The sound of the guitars is just right. The riffs and lead notes or solo's sound like I want them to be. This is my inner expectations being tickled alright. A warm Hammond sound does the rest as does the slide guitar that moves in here and there. The second thing is that Ted Russell Kamp's voice has this little edge, with a faint trace of hoarseness that make him extremely interesting to listen to. He is able to sing his lyrics so convincingly. When he sings "You can watch my tail lights shine" in 'Tail Light Shine', there's no escaping believing him on his word here. The third thing is the album is sufficiently varied to keep my attention. Only rockers would not have cut it. Not all the variations make my personal cut. Especially when Kamp moves into more traditional country. On the other side of the spectrum 'Get Off The Grid' instantly reminds me of Grayson Capps and is so right. A sort of rockabilly with the lid on. This song is gripping and fun, while not giving everything away in an easy way. The richness of Walkin' Shoes starts to really show when getting to the 9th song I am again pricking up my ears and become really entertained by 'Written In Stone'. A fine ladies backing joins in, while the song remains extremely rhythmic. Kamp knows exactly what he is doing here and the effect he wants to extract in his listeners -and does, without any effort it seems. 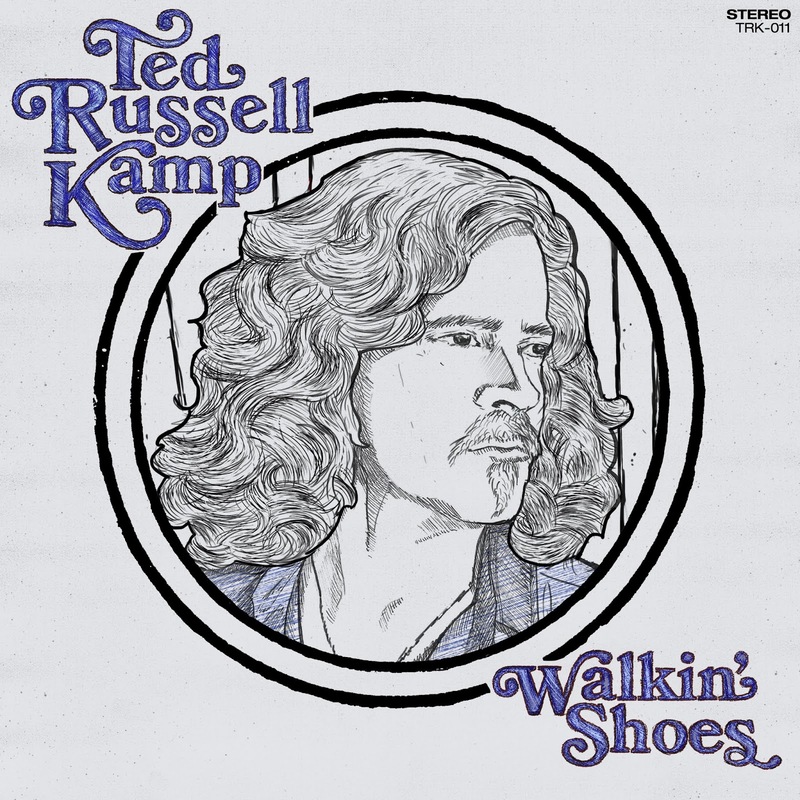 Yes, in a way Ted Russell Kamp fits into a mould that produced thousands of singer-songwriters in the country, Americana, roots segment of music. In the other he stands his ground extremely well, while covering a few grounds on the album. There simply is very little complain about. Let me rephrase that in a positive way: With the first album by Kamp in my possession he is up with the likes of Grayson Capps as far as I'm concerned and in my little bubble that is not a bad place to be. Ted Russell Kamp presented me with the album I simply needed to hear right now.